SLS Las Vegas opened less than five years ago on August 23, 2014. 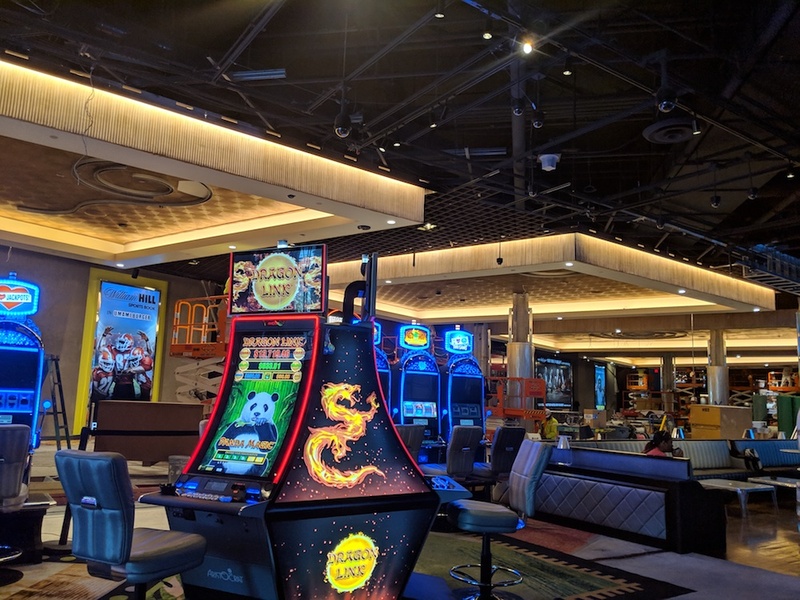 The casino hotel is under new ownership and currently in the middle of a $100 million renovation. Not only will the casino and hotel get a new look but there will be a few additions. We tend to keep an eye on new hotel rooms to look for when asking for an upgrade. 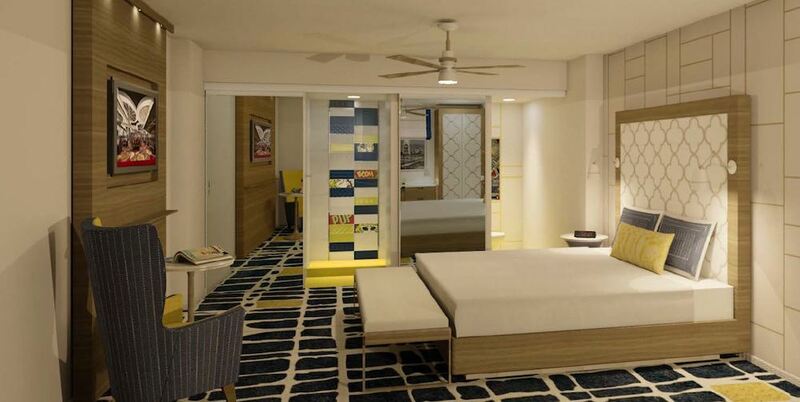 Let’s start a look at the renovation with new hotel room some renderings. SLS Las Vegas is redesigning both the Story and World Towers as well as upgrading the Grand Tower. All of these renovations are near completion. 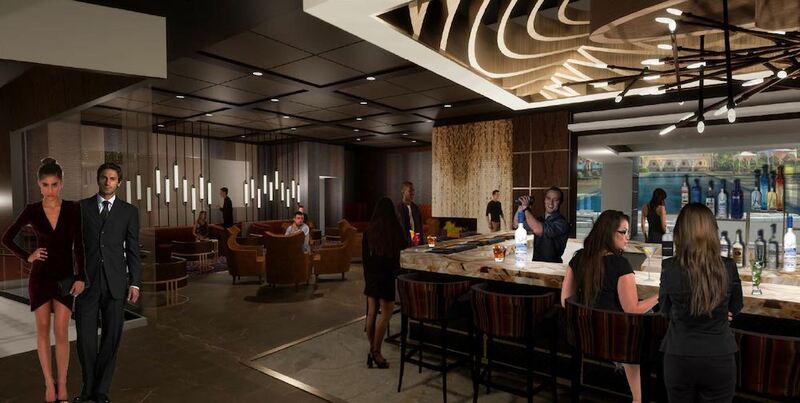 Improvements for the hotel at SLS Las Vegas include enhancements to the Story and World Towers elevator lobbies and room corridors as well as remodeled rooms. The rendering above is a Story Tower suite. Updates to the Grand Tower include room enhancements and upgraded spa experience. The Grand Tower will maintain the AAA Four Diamond status is earned as W Las Vegas. The tower will also continue to have its own private hotel entrance. The rendering above is titled “Grand Sahara Mega Suite.” We’ll touch on the name at the end of this post. Guests can already see progress on the 60,000 square-foot casino floor renovation at SLS Las Vegas. The casino which opened with an industrial design and high ceilings is changing. The rendering above shows the difference in ceiling height. 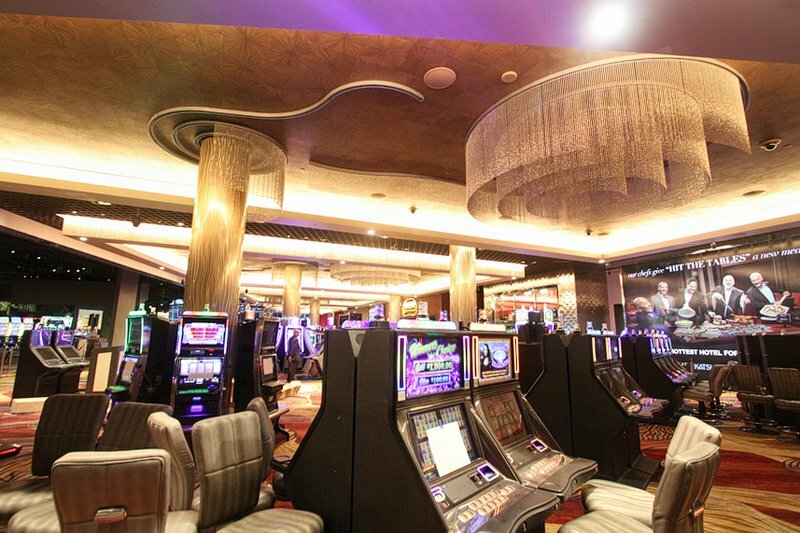 The new casino will look bright and modern with glamorous finishes like an abundance of chandeliers and art. The gaming floor will have a new layout for the slot machines and table game pits. You’ll also notice that finished ceiling along with new lighting and carpeting. The casino floor will move around a little more as Katsuya closes to make room for a new high limits room. Unlike the existing high limits set up, the new room will feature both slot machines and table games. The new room will also include a bar. Katsuya won’t be replaced with a similar dining option. The new dining addition at SLS Las Vegas will be a Mexican restaurant called Uno Mas. The new fast casual restaurant will slide into the space formerly occupied by Ku Noodle near Northside Cafe. As of now, all other restaurants will remain. There have been many rumors about dining options changing at SLS Las Vegas so that could change. Strangely enough, while there are no plans to replace Cleo it isn’t mentioned in the press release for the renovations. We pointed out that two of the filenames of the renderings have the Grand Sahara name. Since the Meruelo Group purchased SLS Las Vegas in 2018 there have been rumors that the name will change. The Las Vegas Review-Journal even found legal documents with the Grand Sahara name. Ownership says Grand Sahara Resort is just a working title. I don’t believe that. Once the renovations are complete it’s entirely possible SLS Las Vegas could become Grand Sahara. The working name ties in with the Meruelo Group’s Grand Sierra in Reno and the original name of the property – Sahara. Sometimes rumors make too much sense not to be true. That said, this property is still SLS Las Vegas. Renovations aren’t expected to be finished until the second quarter. We’ll keep our eyes open for a new name when the work is complete. In the meantime, you can follow along with renovations here.